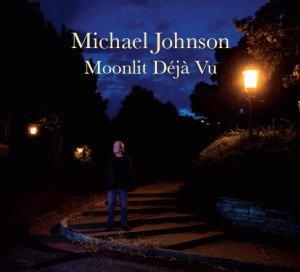 Moonlit Déja Vu is Michael Johnson’s first studio album in 15 years. The album proves that as a producer, songwriter and performer, Michael Johnson is at the top of his game. 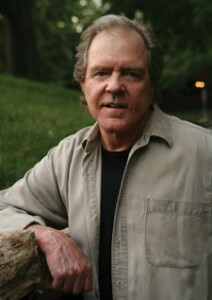 He is best known for his hit song “Bluer Than Blue” and for several number one Billboard-charting country songs, including “This Night Won’t Last Forever” and “Almost like Being in Love.” Along with being a great songwriter himself, Michael Johnson has always had the ability to choose great songs written by others. The minimal instrumentation and great song choices on the new album are reminiscent of his early albums and also show the taste and sensibilities of a mature artist. Moonlit Déjà Vu begins with a beautifully written song called “April Fool.” by Hugh Prestwood. 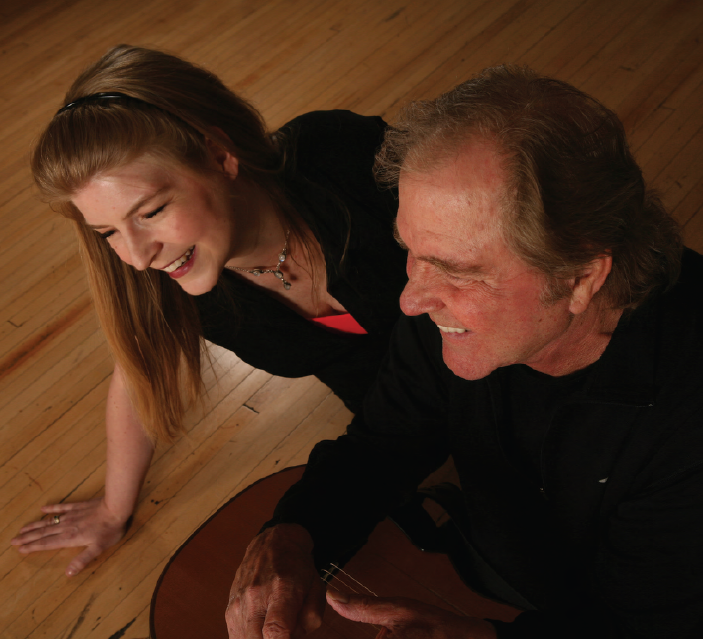 Johnson included several other Prestwood songs on the album, “Learning How to Love,” “How Do You Know What You Know,” “The Day I’m Over You” and “Kiss Me Goodbye.” These songs are the work of a master songwriter, brought to life by a master guitarist and singer. “Kiss Me Goodbye” has to be one of the most touching songs about true love that this writer has ever heard. 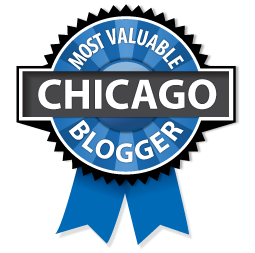 Michael’s take on Clive Gregson’s song, “My Favorite Lies,” includes humor and wisdom and his rendering of W.T. Davidson’s song, “Gee I’m Glad I Worried About That” adds some macabre but smart humor to the mix. Michael’s song, “SoSo” is a great parody of the 1946 song “You Make Me Feel So Young” and the anthropomorphic saxophone played by Dave Carr on this song is an album high point. Michael builds a great mood and plays some gorgeous Spanish style guitar in his song, “Emelio,” and “Looking For Rainbows” by Cochran/Cook features Dan Newton on accordion and more amazing guitar work by Johnson. This song placed me in an outdoor French or Italian café for some reason, (I think that the accordion had something to do with it)! I spoke with Michael about the album and he told me that he had connected with his long lost and newly found daughter Truly Carmichael, who also lives in Minneapolis and He had moved back to Minnesota. He said that connecting with her played a large part in how the album came out. “It just seemed that all roads were leading me back to Minnesota – signing with Red House, working on the new album and most especially, reconnecting with my daughter who lives here.” Truly Carmichael and Michael sang a duet on Michael’s song “One Mile Apart” on the album. Besides being one of the best singers, guitar players and entertainers that I have ever heard live, he has also made some wonderful records over the years. His early recordings, “There is a Breeze,” “For All You Mad Musicians” and “Ain’t Dis Da Life,” are still available as a CD collection called “the Early Albums.” I still listen to those records frequently and time has not diminished their appeal. I own and appreciate most of the albums that he has made over the years and am especially fond of an album that he recorded in Nashville in 2000 called, ”Live at the Bluebird Café.” When you listen to the album, you get a sense of what a great live performer Johnson really is. Michael recorded a major hit single, “Bluer Than Blue,” in 1978, from The Michael Johnson Album went straight to number one on the Pop and Adult Contemporary charts and it was nominated for a Grammy. “Almost like being in Love,” from the Broadway Musical Brigadoon was also on the album, and it went to number one in the R & B charts, while hitting the top five in Pop and AC. The next album, Dialogue included his next big hits, “This Night Won’t Last Forever” and “I’ll Always Love You,” (Gold Record for European Sales). Michael lived and toured out of Minnesota from 1969 through 1985 and then moved to Nashville where he continued to tour solo and have more hit records., “Give Me Wings,” The Moon is Still Over Her Shoulder,” “ That’s That,” and “I Will Whisper Your Name,” among others. At a recent show Michael was chatting with singer songwriter John Gorka who connected him with his manager and His St Paul-based label Red House Records. Eric Peltoniemi, Red House president, was very familiar with Michael’s work and was delighted to meet him and hear his new songs. Michael signed with Red House and recorded Moonlit Déjà Vu at Minneapolis Wild Sound Recording Studio. Let’s relive “Bluer Than Blue” once again, shall we?